I absolutely LOVE the ambient music in this game. Especially 'Tomb of Primeval Kings'. When I heard it while walking on the Desert Highlands, I had to stop, and just take every single note to my heart. Can we expect more such tracks in the future? (On the Banks of Elon is so phenomenal too!). 34 new tracks just in 4 episodes- including raids and fractal. How did you do that?! Can you share the number of total tracks in this Season? I thought it would be in the official HoT's OST, but it's not, and it's not on Soundcloud, if I'm not mistaken, so could You upload some HoT's trailers and teasers music on Soundcloud? What are the lyrics in Aurene's Fate? Hi Arden. Thanks for your kind words and for listening! You can always expect more music for every new content release. Some get more than others, but we always try to make sure each release has music that is appropriate for the content and enhances the experience. 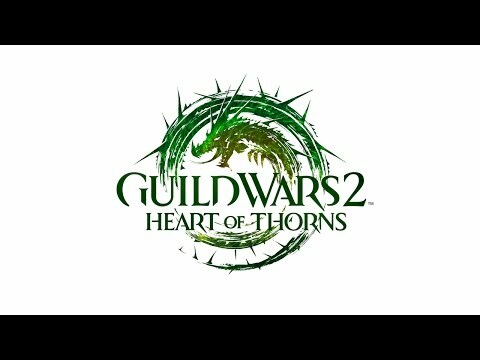 Both of the tracks you mentioned are two of my favorites from the PoF soundtrack, and it's a direction I'd like to explore more going forward. I was just thinking about this the other day. Season 4 basically has the same length soundtrack that both expansions have had. Crazy! The best way to do it is with help, so that's why this season we've had tracks from Brendon Williams and Lena Raine. Brendon helped with the combat music on the PoF soundtrack, and Lena of course goes back many years with the studio and has written some amazing music for the game. It's been great to have them both continue to contribute. The season isn't over yet, so I don't know exactly how many tracks we'll have by the end. I'd say it's pretty likely we'll get to 40 at least, though . I had made a promise on Twitter to post some "long lost" tracks if we hit 8 million plays on SoundCloud. I just checked and we just hit it today! Much sooner than I thought we would, which is nuts. I'll gather that stuff and post it this week to coincide with this chat. Thanks for pointing it out. There are no lyrics, unfortunately. It's just gibberish. I'm using a choir sample library that uses random syllables to kind of give the appearance of real lyrics. I'm looking forward to the day we can get more live choir into the game, but unfortunately we often don't have the time or budget to do so. Never say never, though. This is a tricky one to word or define, but would like to see more recognisable/iconic/noticeable tracks. I am surprised to hear of 34 new tracks simply because i havent noticed almost any new ones. Now i dont expect to recognise and hear every new track, but ls4 has felt very low key compared to say PoF and HoT. Was that deliberate? I will say the music has been phenomenal since ls1, with some really excellent and iconic tracks - from the epic Breachmaker, to the serenity of Auric Basin, the mystery of Rata Novus or the old school hollywood blockbuster feel of PoF. LS4 doesnt feel to me like it is flowing as well with the story at all times and id like to see real noteworthy pieces in the remaining episodes that really define ls4. The audio team has in general been exceptional beyond this and a real credit to bringing the living world to life. I hope we will have a full Kralkatorrik's theme in the season's finale. Hi Randulf. All I can say about this is that the music resonates differently with different people, and it's nearly impossible to satisfy everyone in that regard. In the 6+ years that I've been writing music for the game, I've heard every variation on this comment. There are some folks who prefer GW1 over GW2, Living World over GW2, HoT over LW, PoF over HoT, etc. The intention is always to have music that is appropriate for the content as well as keep things fresh as the game and story develop. Sometimes it works for some people, sometimes not. Thanks for listening, either way! 4. There are no lyrics, unfortunately. It's just gibberish. I'm using a choir sample library that uses random syllables to kind of give the appearance of real lyrics. I'm looking forward to the day we can get more live choir into the game, but unfortunately we often don't have the time or budget to do so. Never say never, though. I listened to the original Soundtrack, and there are few tracks that have the lyrics: The Seraph, Raven Speaks and Here be Dragons. Can you dig in some data and write down the lyrics used in those? (I'm aware they're Jeremy Soule's music pieces). I have this question in my head for 5 years now, and finally I get a real opportunity it could be answered. EDIT: and there is also A Land Restored!